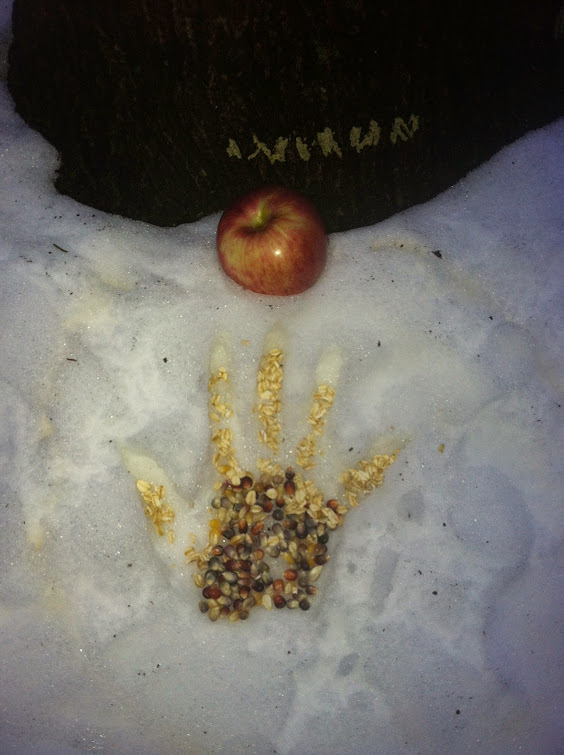 Offerings of love, corn, oats, tea, and an apple at the foot of the oak tree. Photo by Grey Catsidhe, 2014. 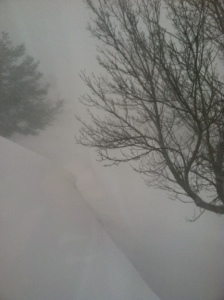 An Cailleach is wide awake in Northern New York, ready to teach us humility and patience. May we all learn gracefully this season! Hail and welcome! Despite what the modern calendar tells you, winter is here in Upstate NY. We’ve received snow. An Cailleach is wide awake, shaking the dust out of her skirts and cloaks. While she has yet to show her full power, it’s coming. You can feel it in the chilly air. While the snow isn’t sticking for long in most places, it clings longer in the forest shadows. I went there today to visit and take in the sights and sounds. 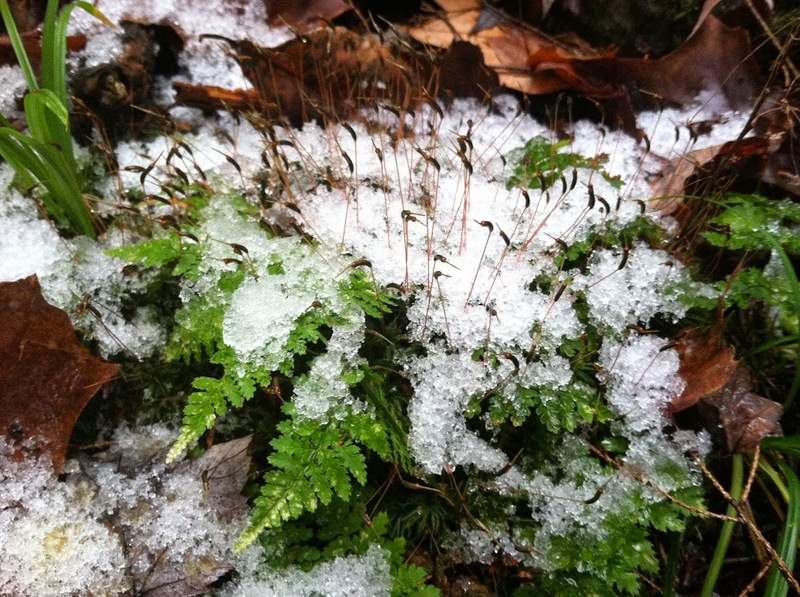 Snow on the ferns. Photo by Grey Catsidhe, 2014. The oak tree was bare save for a few straggling, brown leaves, clinging on for dear life. The forest seemed very gray today except for the hemlock and lingering ferns. Although the plant world is very sleepy, the animals who share the realm were quite awake! Some blue jays got into a shouting match while I was doing my devotional ritual. I couldn’t help but stop and observe. Smaller birds darted through the evergreens – one bearing some broken branches that could betray the position of a porcupine. In the distance, red squirrels tittered. Offerings at the shrine on a chilly November day. Photo by Grey Catsidhe, 2014. 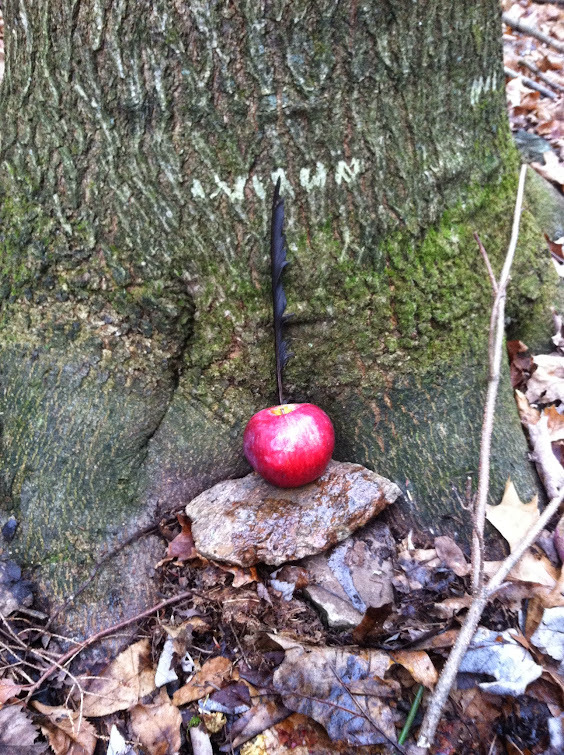 I left my offerings at the base of the oak – fruit, seeds, oats, and sweet red wine poured on rocks. I also left a crow feather I found on my way there. It felt right to give it back to Nature. 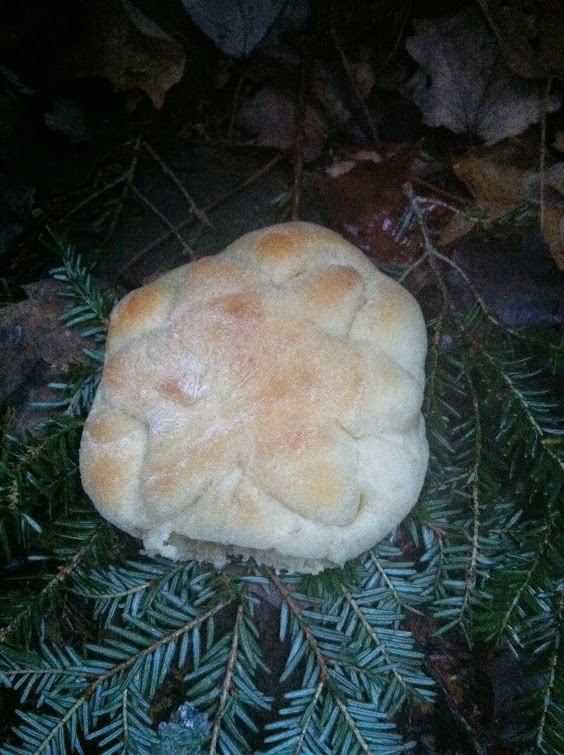 As I left, I promised An Cailleach some bread next time. UPG I’ve experienced the last few years I’ve made offerings to her have taught me that our regional winter hag loves fresh bread. Good thing I enjoy making it! What’s more, it adds some extra warmth to our home while An Cailleach dances outside.